Over the past few months I've been slowly but surely chipping away at my Necron backstock. I put together six Destroyers that I plan to run in two groups of three, each with one of my Heavy Destroyers added in. These guys painted up pretty quickly, helped along by breaking them into four components: The chassis, the torso, the weapon, and the base. I worked on one element until it was finished, and before I knew it, the squads were done. 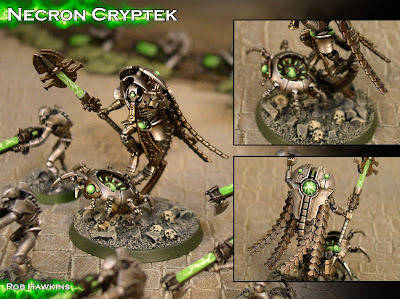 My first new model for 2019 is the Necron Cryptek. I added a green rod so his weapon would more closely match the rest of my army, but didn't bother with any other conversion work. I'll probably get a second Cryptek eventually, and I'll do a complete repose on that one. The Necrons are great for a "break" army because they paint up quickly. So, I can knock out a model here or there when I need a break from shading and highlighting dozens of skeletons, or meticulously black-lining and highlighting Space Marine armor plates. One of the posts I plan to write is a tutorial for my Necron speed-painting process. I'll be working on the Necrons "in-between" my other projects. I'm about ready to kick off my Nighthaunt army, and I fear that the Flesh-eater Courts and Skaven battletomes will be coming sooner rather than later, which will severely cut into my 40K focus. Those look great. 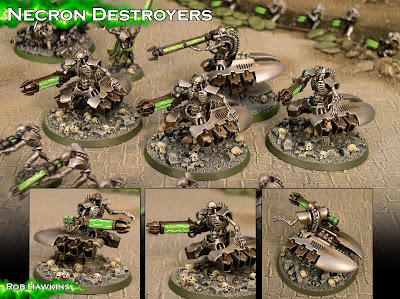 Looking forward to your tutorial as I will be painting up a set of Necrons for a Shadow Wars Armageddon campaign soon. Thank you! The painting guide might be a ways off... Although. maybe I can use it as an excuse to pick up some Immortals or Deathmarks. Good job. They are very cool. I would also have to paint my necrons. The poor always end up relegated by more interesting miniatures to paint. Thanks! I'm the opposite-- I always set aside models with long complicated paint jobs in favor of something I can get done quickly. It feeds my sense of accomplishment to put another finished model on the table, when the long projects seem to have no end in sight (like my Terrorgheist). Great stuff! Even your speed painting stuff looks awesome. Splendid looking miniatures, the effect on the green rod is very clever. 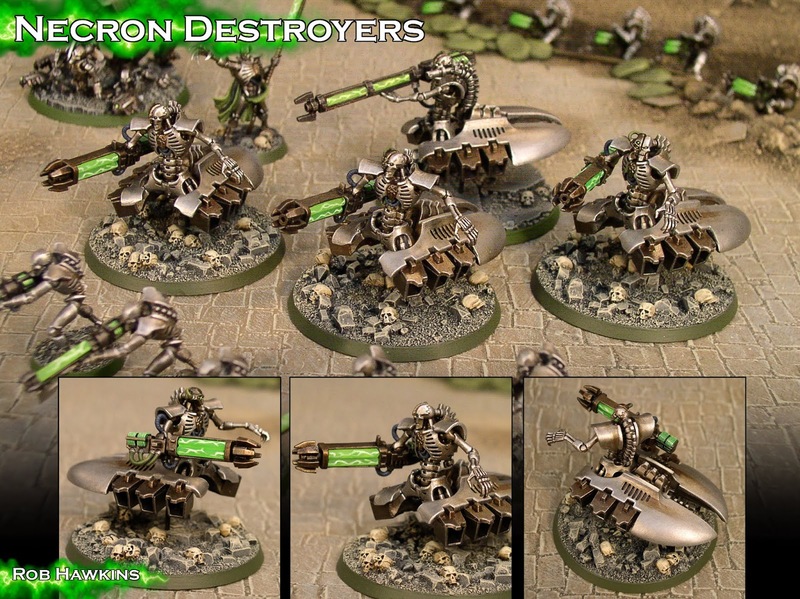 While I'm not a big fan of Necrons, one of the duller looking forces in my opinion, I can't deny that yours are quite amazing. I appreciate it! I'm a big fan of The Terminator series, so the range appeals to me. Not as much as fantasy undead, however. Plus they paint up super fast. I'm in the same boat with the various Eldar-- *Nothing* in those ranges has ever appealed to me visually.